Musical Masterworks Artistic Director Edward Aaron will perform in the opening concert of the 2016-17 series. 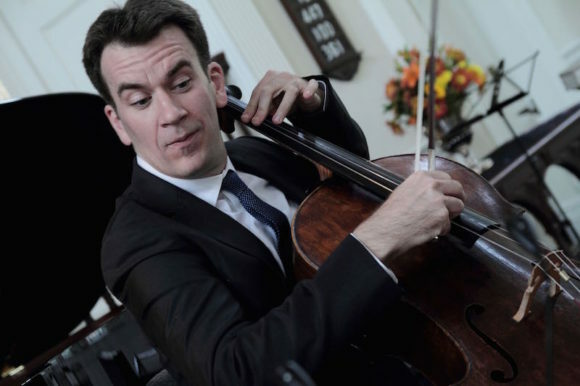 AREAWIDE — As Musical Masterworks opens its 26th season of exceptional chamber music, it seems only appropriate to begin the next quarter of a century of chamber music on the shoreline with the music of J.S. Bach. Flutist Tara Helen O’Connor and pianist Adam Neiman will perform along with cellist and Musical Masterworks Artistic Director Edward Arron. Musical Masterworks’ season runs October 2016 through May 2017. To purchase a series subscription ($150 each) or individual tickets ($35 individual; $5 student), visit Musical Masterworks at www.musicalmasterworks.org or call 860.434.2252.